Progressive Water offers a full range of Sea Water Reverse Osmosis systems. 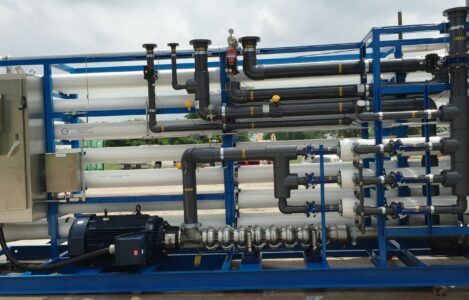 Our systems are custom manufactured to eliminate impurities from seawater using reverse osmosis. This is accomplished through the use a high-pressure pump that forces salt water through membranes which prevent salts and other organics from entering the purified water. These membranes are designed to remove dissolved solids while separating the feed water into purified water and rejected impurities.